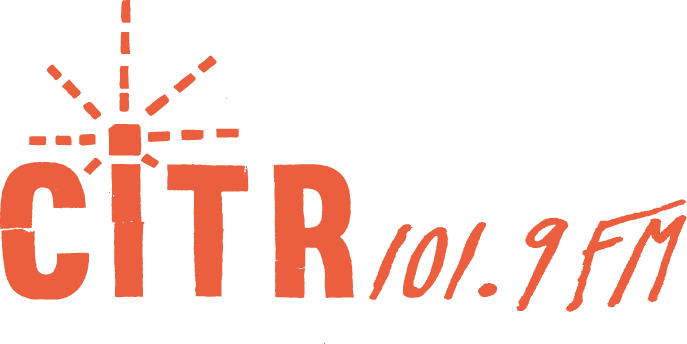 Tuesday August 1st is CiTR’s Pride celebration. Join us on 101.9 FM or citr.ca to listen to all 12 hours of our Pride programming celebrating identity, history and culture. From 8 AM to 8 PM, listen to documentaries, radio art, music and discussions all produced for or by LGBTQIA2S+ folks! 8:00 AM: Queer Music History – Join Drew and Mac of Mixtapes with Mc and Mac, for a morning extravaganza of LGBTQ+ music history. Produced by Drew MacDonald. 11:00 AM: A Love Letter to Call Me By Your Name – Dora writes an open letter to Luca Guadagnino’s Call Me By Your Name. Tune in in the name of love and join Dora as they walk you through their favorite scenes and moments from the film while discussing its strengths and controversies. Produced by Dora Dubber. 1:00 PM: Vancouver Pride Event Listings – There’s something for every queer at Vancouver Pride, but have you ever seen a drag show in a bookstore, or a comedy show at Celebrities? We have interviews with Dank Sinatra, local drag thing & noted book worm who will be hosting Massy Pride, as well as an interview with Joel Kim Booster, your new favourite comic. Tune in for these interviews and more dets of where to gay the day away <3. Produced by Madeline Taylor. 1:45 PM: Not Queer Enough – Part radio art, part interview series about folks who are bi/pan/queer identified who don’t feel queer enough in queer spaces. Produced by Sydney Thorne. 2:10 PM: The Last Dyke Bar – The last Dyke bar in Vancouver closed in 2011. It was called Lick. Since then, the party scene for queer women, non binary and Trans folks has been roving and vibrant. Last summer I sat down with Paige Frewer, Drag performer, entrepreneur and party organizer, and Nadine Boulay, a Queer Historian DJ, and Drag Performer, to talk about where this scene came from, and where we see it going. This piece was originally broadcast for International Women’s Day 2018. Produced by Madeline Taylor. 3:00 PM: Chaotic Music Meetings – Myles Black + Devours – A performance followed by an interview with Devours. Produced by Myles Black. 4:00 PM: Coming Out Monologues – What does coming out mean to you? Is it a grand declaration or something more subtle? Queer folks from across the spectrum share their stories and thoughts on what coming out means to them. Thanks to Greyson, Graham, Devon, Rachel, Ann, Rowen and Bryan for reading! This piece was originally broadcast on CJSW 90.9 FM in Calgary, and received an Honourable Mention for “Best in Student Programming” at the 2018 National Campus and Community Radio Awards. Produced by Mel Woods. 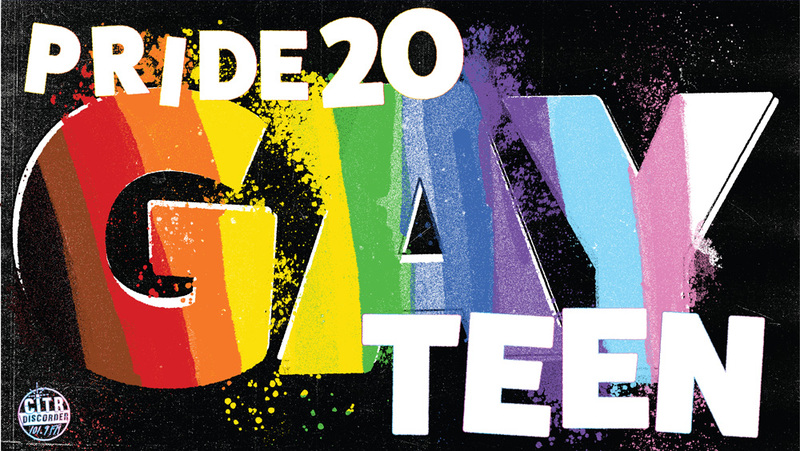 5:00 PM: A Queer Show Tune Dance Party – Join Mel from Into the Woods as she indulges her inner theatre geek and brings you a straight hour of very not straight Broadway show tunes to celebrate Pride. There’s RENT, there’s Fun Home, there’s even the Glee Season 2 soundtrack. Take this hour for what I am, who I was meant to be. You better sing along. Produced by Mel Woods. 6:00 PM: Unceded Airwaves: NDN Auntie Dating Advice – a rebroadcast of your fave Aunties imparting their wisdom on all things love, lust and longing for 20GayTeen. Produced by Autumn Schnell. 7:00 PM: Gay Bar Bangerz – This hour will have you glistening like the flaming joy of 1000 glitter bombed drag things <3. Produced by DJ Femme Daddy.